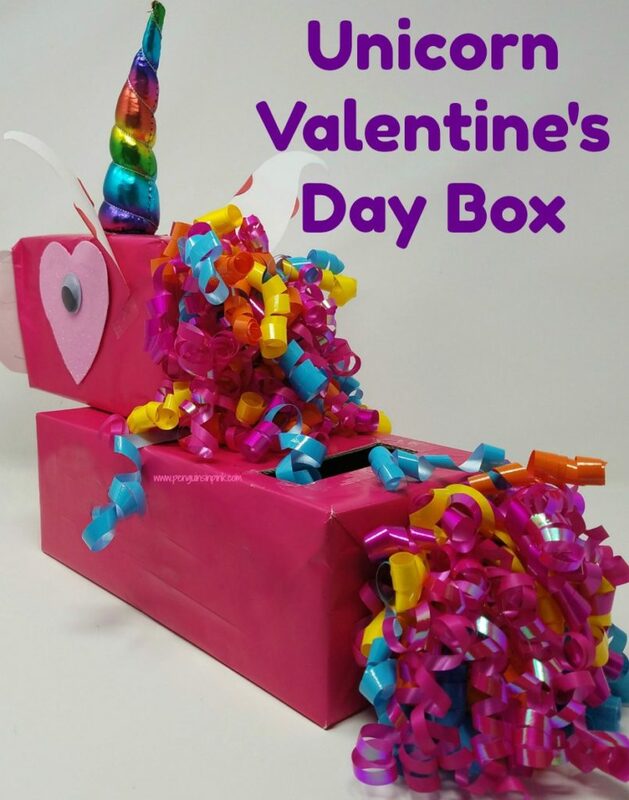 This post, Unicorn Valentine’s Day Box, may contain affiliate links. This means if you make a purchase through one of these links, Penguins in Pink will receive a commission at no additional cost to you. 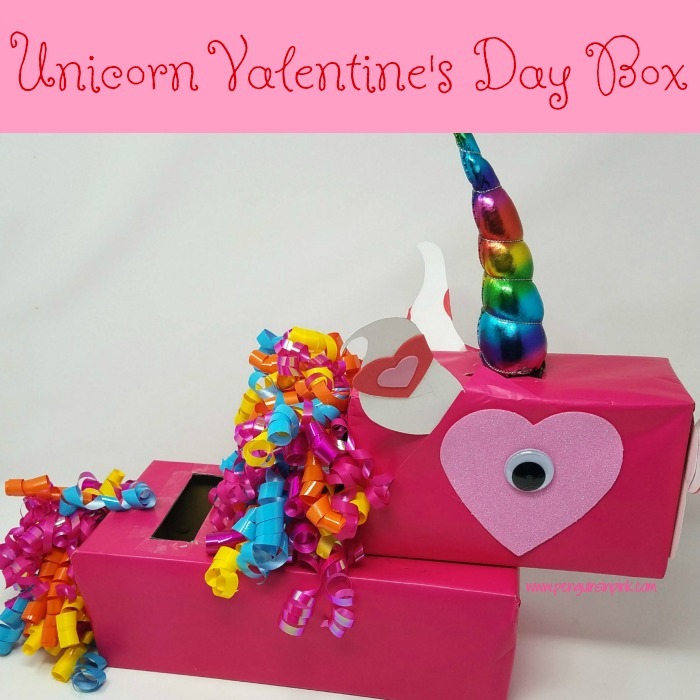 The Unicorn Valentine’s Day Box is a fun craft to make for a unique Valentine’s Day card box. The box is simple and fun to make. While I had a lot of the supplies on hand, I picked up the pink wrapping paper and curled ribbons at the Dollar Tree. I found the unicorn horn at Party City. Wrap the shoe box in pink wrapping paper and secure with packing or scotch tape. Wrap the oatmeal box in pink wrapping paper and secure with packing or scotch tape. Cut the elastic off the unicorn horn stretchy headband. Place the unicorn horn on the oatmeal box at about center. Secure with hot glue. Cut a 1/2 inch by 3 inch slot on the top of the shoe box towards the back. Use packing tape to hold down the wrapping paper in the slot and cover the rough edges. Hot glue the oatmeal box to the top of the shoe box. I glued about half the oatmeal box to the shoe box. On a sheet of card stock draw an oval (for the nose) and ears and cut them out. Glue the oval onto the front of the oatmeal box. Glue the ears to the side of the oatmeal box. Attach 3 sets of curling ribbons to the back of the oatmeal box. Secure with packing tape if needed. Attach 2 sets of curling ribbons to the back of the shoe box. Secure with packing tape if needed. Glue a die cut heart to each side of the oatmeal box. 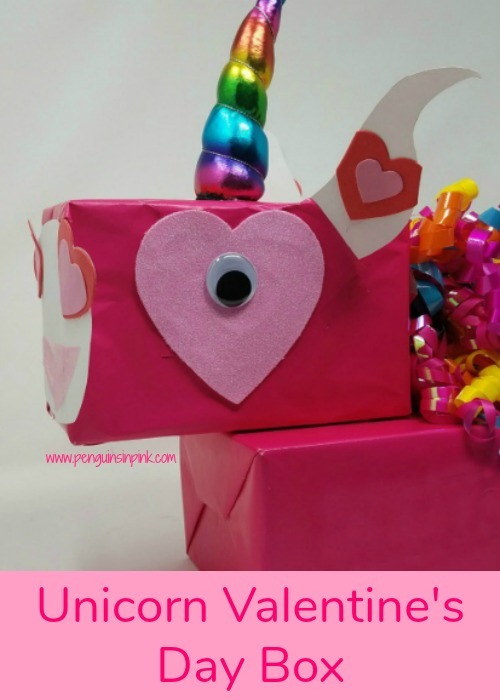 Create the face for the unicorn using the foam heart stickers. I let Cakey create the face she wanted. Cakey created a mouth with some scrap crepe paper. Use hot glue to secure the googly eyes on. Use stickers or a sharpie to write the child’s name on the box. 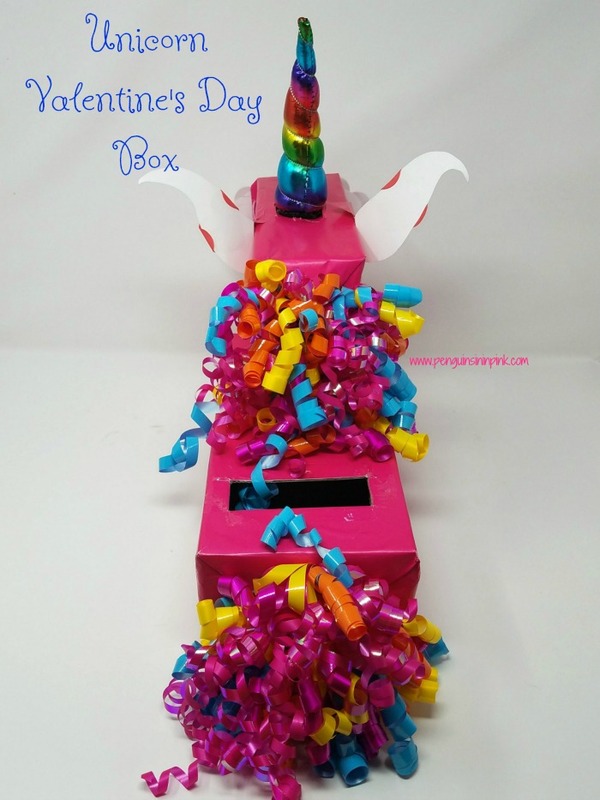 This Unicorn Valentine’s Day Box is simply cute. Cakey had so much fun creating her unicorn face and adding her name to the box. 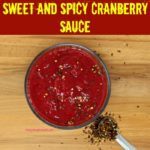 While this is a little hard for younger kids to do on their own it is easy to do in less than an hour together. 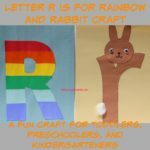 Be sure to stop by my Kids Crafts page where I link all our crafts. 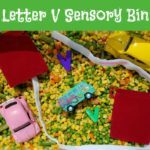 Looking for more Kids Crafts ideas? 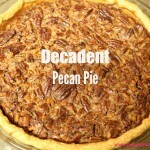 Check out my Kids Crafts board on Pinterest. This is beautiful! Great job.